Creating Facebook App with Cloud Files is quite easy and most importantly, it is actually becoming self hosted, with SSL as an option and at a very low pricing. In this guide for creating Facebook App with Cloud Files, we will show an demo Music Player for your controlled usage. Basically we want to avoid going in to details of the Facebook part for this guide for creating Facebook App with Cloud Files. That is quite easy, writing here will mess up the way of thought and we have published detailed guides before. Please read this guide to Create Facebook App Page With Free Google Sites, most important links are given within that post which will help you for the Facebook part for Creating Facebook App with Cloud Files. With your God gifted eyes, you can see the differences. You will call me names, if I do not tell few tricks to avoid 405 error – use a CNAME. FQDN will not be recognized by Facebook’s iframing (FB actually iframes) technology and return error due to security set by Rackspace. This Article Has Been Shared 7678 Times! 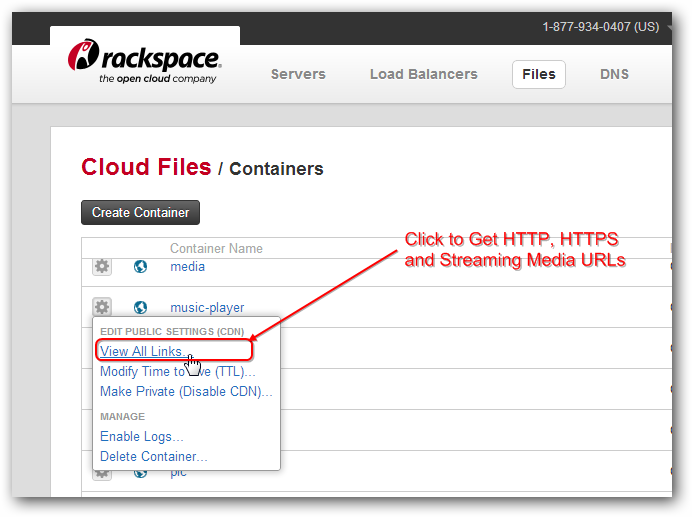 Rackspace Cloud Sites for Facebook App Hosting Domain sounds very difficult to create but actually it is noting but iframing any of your domain with any CMS. Cite this article as: Abhishek Ghosh, "Creating Facebook App with Cloud Files : Demo Music Player," in The Customize Windows, October 10, 2012, April 18, 2019, https://thecustomizewindows.com/2012/10/creating-facebook-app-with-cloud-files-demo-music-player/.